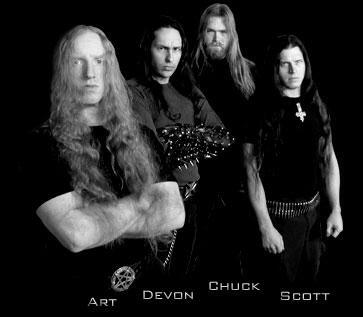 Charlotte Death Metal band, Wehrwolfe, came into being during 2002 with the split of Darkmoon. This previous act had folded when vocalist Jon Vesano teamed up with Nile, the remaining three musicians, including the Demonic Christ associated rhythm section of bassist Devon Penrod and drummer Scott Pletcher, forging ahead as Wehrwolfe by enlisting singer Nathan Ellis. The inaugural version of the band comprised Ellis, guitarists Chuck Brummond, bassist Devon and drummer Scott Pletcher. They would first make their presence known by distributing a two song promo tape at the 2002 'Milwaukee Metalfest'. Signing to Magick Records, Wehrwolfe issued the 2003 album 'Godless We Stand'. 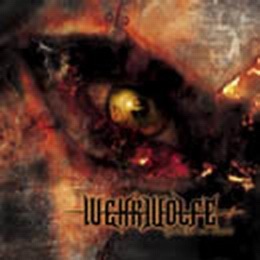 Wehrwolfe also donated their rendition of Cradle of Filth's 'The Priniple Of Evil Made Flesh' to the 2003 Cleopatra tribute album 'Covered In Filth'. Also, in 2003, a second guitarist, Art Taylor, was brought in. January of 2004 Ellis exited in order to join Daylight Dies and Devon duly added lead vocals in order to cover. Drummer Scott Pletcher left the ranks in November 2005. The band drafted Cothurnus and The Torture Cell's Chris "Mordrid" Hathcock as their new sticksman in March 2006.